Below are some ideas of the vision I have for what I can offer my clients. 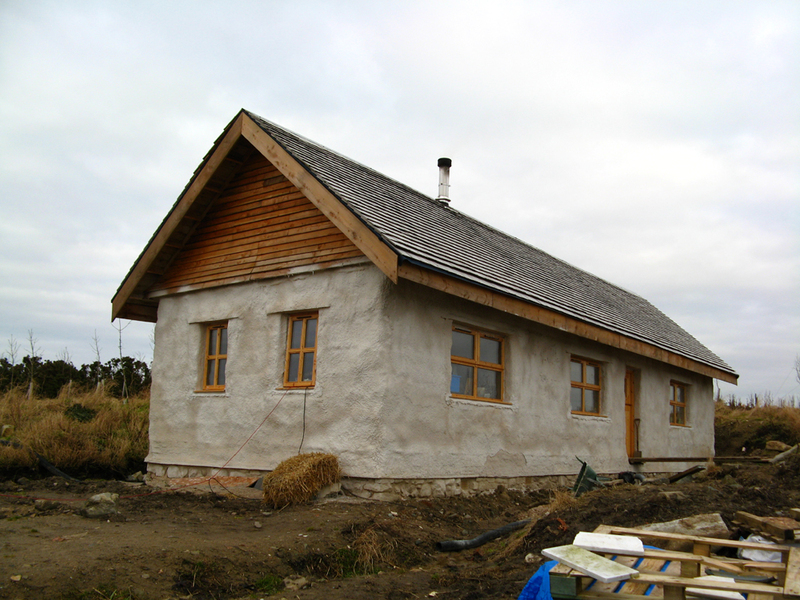 This work is from Rural Design Architects on the Isle of Skye. Their style takes cue from the traditional structures of the isle and so offers aesthetic sustainability, as well as environmental sustainability. Enduring Domain would like to offer building designs which are elegant, yet refined and simple in their execution. To achieve this the buildings must be designed intelligently but their performance will be effortless, and their form will be at ease with the landscape on which they sit. I am concerned with real world performance in thermal comfort and energy efficiency, and I will differentiate that from the green veneer which others may be offering. In doing so there will need to be certain parameters and limitations in style, however my buildings will certainly not be devoid of style. They will just have their own. This house has single glazing, drips with condensation, struggles to keep warm, wins awards for sustainability. This house brings warmth and joy to its occupants, costs very little to heat or cool, carries a hippy owner builder stigma. 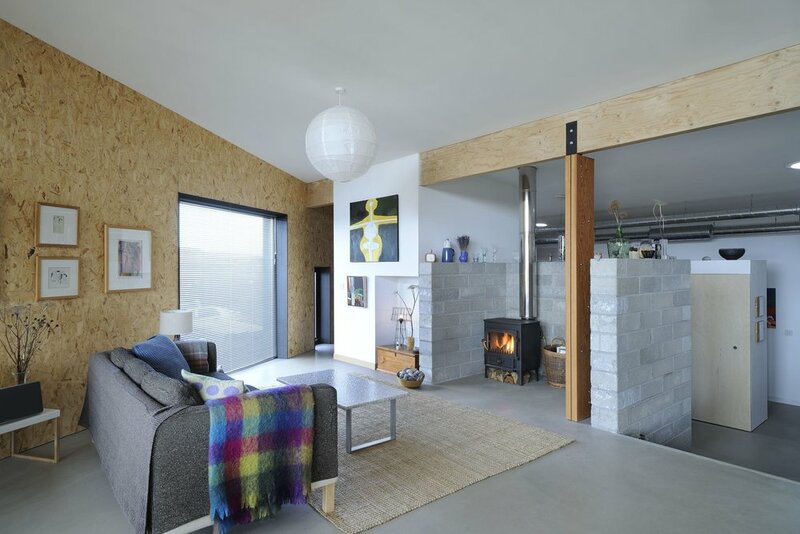 Example of a contemporary strawbale home designed and built by a Belgium architect for himself. Functions well, turns heads. In the region I work there is an opportunity to capture the city 'green-changers' who wish to cash in on their Melbourne properties and buy land in Central Victoria to create their oasis of self-sufficiency. They have ideals, they are educated in sustainable buildings just enough to know the benefits of it but not enough to think they can do it themselves. They like the new technology and they want it incorporated into the home. Even though they could afford the power bills of a conventional home, they want to be future-proofed and disconnect from the grid as much as possible. They generate their own power, they grow their own food, their friends come over to have a hot shower and a meal when the power goes off everywhere else. I have an idea for providing a building system which can achieve high levels of energy efficiency, is partly pre-fabricated, is stylish, and modular to a degree so that clients can customize their own design within certain parameters. 'Healthy home' is something I also want to emphasize. Having lived first-hand in an old home that seasonally suffers from condensation and mold, Winter is a miserable experience. We need to start doing things better. Our homes should encourage physical and mental health, bring joy and lift our spirits from the first rays of winter sunlight coming into the breakfast nook. Clients can choose to have something completely custom designed using the technology and ethos of the 'future house', but the imagery of the pre-designed stuff might help to draw those custom clients in. I may still have something to offer clients on a tighter budget with these pre-designed packages that would have only what you need in a house. Smaller house but higher quality of life. Part of my service would be to tie in all aspects of self-sufficient living. Designing power and water systems, heating and cooling, site integration, landscaping and food production. Passive solar design. Proven to work by the laws of physics! R 4.0 insulation to walls. R 6.0 insulation to roofs. Thermal mass concrete floor slab where possible, or airtight insulated floor cassette for sloping or problem sites. 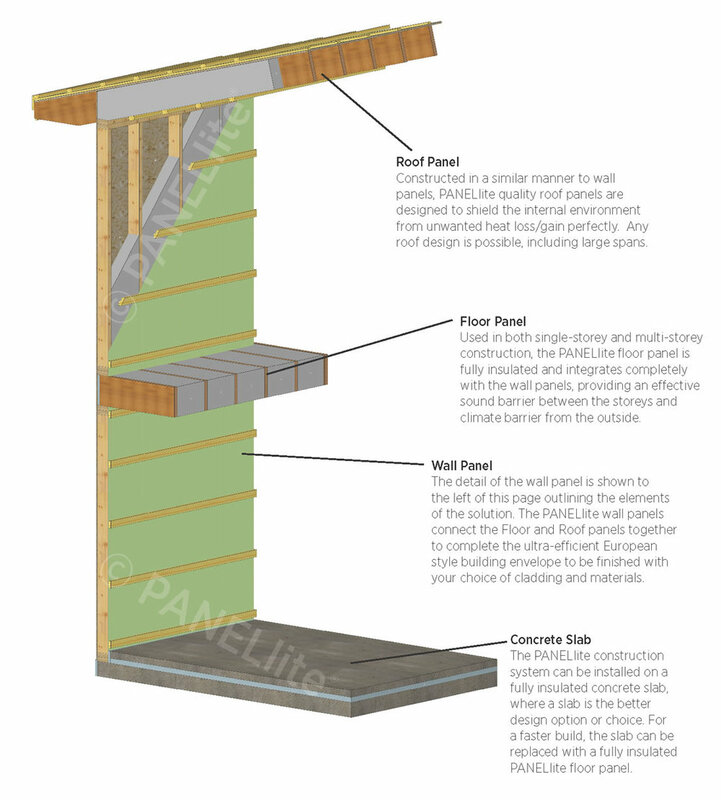 Breathable building membrane keeps your frame and cladding dry, eliminating rot and mold. Airtight construction method to retain more of your heated or cooled air inside the home. High quality and well sealed double-glazed windows and doors with low U values, positioned to optimize natural cross-ventilation. Ducted exhaust fans and ventilated roof space to disperse excess moisture in the air and eliminate condensation, mold and structural damage. Efficient floor plan to reduce wasted space and optimize built-in storage and usable living space. External sun shading to exclude unwanted summer sun, while allowing low-angle sun to penetrate the home during the cooler months. Sheltered outdoor spaces usable all year round. Integrated renewable energy system. Generate and store your own electricity, power all your heating and appliances in the home cleanly and self-sufficiently. Prefabricated building envelope to minimize site construction time and improve accuracy in fitting components together.